The Auschwitz Memorial is speaking out against visitors taking disrespectful photos at the Holocaust site, calling for people to respect the memory of those who were killed. On Wednesday, the memorial tweeted four photos of people using the train tracks leading into Auschwitz as a balance beam, a pose often seen in aesthetically pleasing, “inspirational” type Instagrams. However, usually, when people take pictures like this, they’re not walking on tracks that were used to forcibly transport thousands of people to their systemic torture and genocide. Some people were shocked and offended by the images, while others felt it was a scary reminder of our photo-op culture. 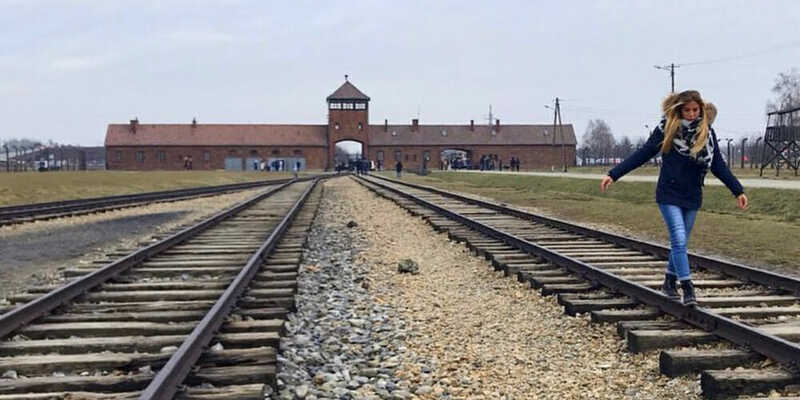 Looking at Auschwitz’s Instagram, it doesn’t take long to see the many differences between the photos people were taking on the tracks versus the ones featured there. While the train track pictures are about the visitor, respectful pictures instead reflect on the memory of the victims.